Our massages will help you fight stress and relieve pain, while providing a deep and pleasant relaxation. By using the Intense Pulsed Light combat the damage caused by the passage of time and get a skin with an enviable texture and smoothness. This experience is designed so that you feel how your energy is renewed thanks to our relaxing and tension-relieving massages. Suitable for people who want to disconnect from the routine and eliminate physical and mental tension. 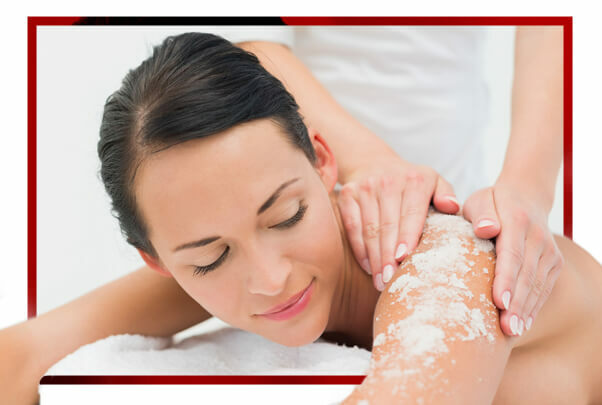 Our massages are totally customizable, you can choose from a softer and relaxed massage to a more energetic one, as well as the areas to work with. With sedative and recuperative effect. We use different manual techniques to relieve physical and mental stress, relax muscles, eliminate tensions and muscle contractions, and increase your blood circulation. Win the battle for cellulite and localized fat, with luxury cosmetics, Natura Bissé. Removing cellulite and localized fat is already an achievable goal. This powerful and ultra effective treatment manages to reduce volume both in general and in rebel areas so that you get a perfect body. An intense exfoliation that improves the microcirculation and stimulates the metabolism acts in perfect synergy with the revolutionary concentrated gel of reducing action and anti-cellulite. Unique massage techniques that are remodeling and draining compatible with the most advanced medical-aesthetic technology complete the effectiveness of this protocol that offers immediate visible results and lasting action. Your skin will be noticeably toned and moisturized and your figure completely stylized. Delicate draining massage that helps to decrease inflammation, improve circulation and relieve fatigue of the feet and legs especially after long walks. Feel better with this fabulous massage, relieving tiredness and heaviness immediately. With this IPL anti-stain treatment, a light beam is applied treating very specifically the dark pigmentations generated by the sun over the years and the redness of vascular origin. It favors the formation of collagen and visibly improves the quality of the skin on hands, shoulders or arms. We make customized budget in different zones. With the IPL, you can treat almost all areas of your body, achieving in a short time a more uniform result and a fresher and younger appearance. For the nonconformist ones that want two treatments in one. With facial hygiene, we can eliminate accumulated skin impurities such as dead cells, black spots, environmental pollution …With our cleaning, we will allow the skin to oxygenate properly and look clean and bright. With the corporal treatment we are able to clean and purify the skin exfoliating the dead cells that do not let the others regenerate, obtaining a hydrated skin and pleasant to the touch. This combination is an essential beauty treatment to keep the skin beautiful and healthy.